I have continued my search for my bookshelf additions relative to diving, and last January I found this one blue book in NBS which I was instantly allured. Like finding a treasure, I can’t put it down and headed for the counter and the good thing was it was on a reduced price! 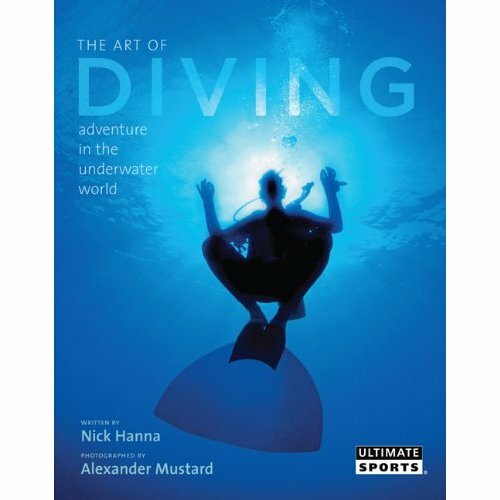 The Art of Diving by Nick Hanna & Alexander Mustard is now one my priced-possession. I remembered the night when I bought it, as soon as I got in my hotel room, I keep flipping the pages I was mesmerized I don’t want to put it down. And without hesitation, I shared the news to my favorite dive buddy. The author has captured exactly the phenomenon and innermost sensation of every diver, the passionate desires and spirituality that accompany the beauty and wonder of the water world. The book have remarkably captured the soul of scuba diving and described vividly the experience of humans in the underwater realm. The lucid photos captured the colorful marine world displaying unimaginable grandeur depicting underwater imagery at its best. The book had been filled with words and wisdom from the pioneers of diving like Sir Jacques Yves Costeau, Trevor Norton, William Beebee, Jules Verne, Sylvia Earle and more. It is likewise filled with underwater stills in my dream sites like Caribbean, Red Sea, Maldives, Indonesia, Thailand & Egypt. Colorful, vibrant, large than life, this book insightfully reveals the secrets of our love affair with the water world.